My name is Paul, aka the Vice President of Farming. By day I’m an executive at a real estate investment fund. By night – oftentimes very late night – and weekend I masquerade as a homesteader/farmer. A few years ago we decided to change our routine dramatically. At the time several of our kids were experiencing bouts with various food allergies. The idea was to get back to the land and start producing our own food. The real, quality stuff without all the added chemicals, genetic modifications, residues, and fillers you get in such terrific quantity from the industrialized food chain. So we moved from the city to a 23-acre farm in rural Michigan, west of Ann Arbor with the goal of eventually producing over 80% of the food we consume. This is my account of what it’s like to work simultaneously in two totally distinct and separate spheres: the corporate and the country. No gimmicks. No sugarcoating. Just good, honest storytelling. I hope you enjoy. just found your page. looks great. sounds great. interested in reading all that you’ve written and following along. thanks. unsolicited advice – get some chaps at least. 70-80$ bucks wherever they sell saws. Gotta invest in the PPE. Wouldn’t want to shorten your farming career uneccessarily. Best of luck to you. Thanks for stopping by Chris. And thanks for the advice. Safety first is good policy even when not always embraced by the broader community (the locals here poke fun of my frequent use of the chain brake). I’ve always thought about investing in a pair of chaps – your comment may have just put me over the top. Thanks again for the tip – I need as many as I can possibly get out here! Thanks for stopping by Rebecca. Glad you enjoyed. Every place has its virtues, but let me just say that you’re extremely lucky to be married to someone from here! Found your blog through Ben Hewitt’s. I’ve bookmarked it and will be checking back in. Like you (had) I have zero practical skills beyond basic bicycle maintenance. Things need to change. Hopefully blogs like yours and Ben’s will inspire me to act. Thanks for stopping by Leaf. Very glad to have you aboard. Found you through the Chicken Chick! Great blog and your family rocks! I laughed so hard reading the goat sourcing thing…thought it was coming from a Mom..got to the end and realized it was the Dad and laughed even harder. Congratulations, you are living my dream! Thanks Jeanne Marie! Glad you enjoyed. Fred: You da man! 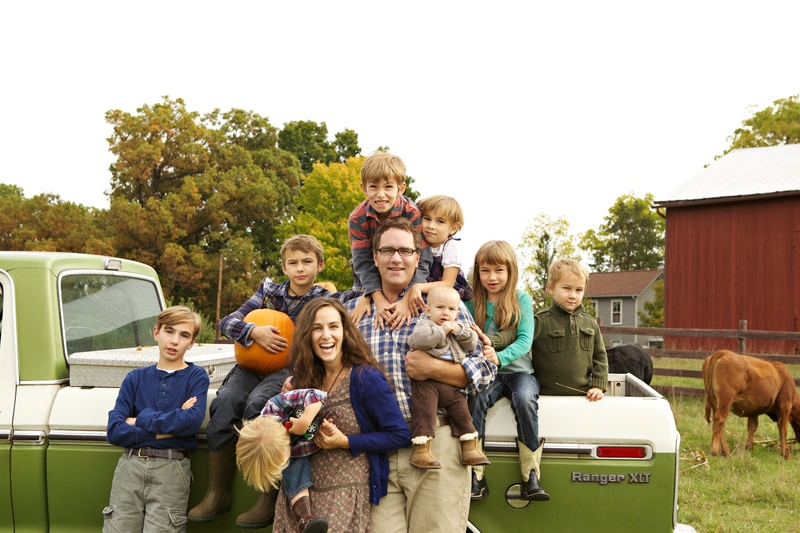 8 kids… wow! Paul – Fellow WG here (’11). Your blog is a huge inspiration and a fantastic memory of my grandfather’s farm in Egypt. You have a wonderful gift for writing and I am looking forward to reading about your adventures. Thanks for stopping by Cherif and glad to have you aboard. Your grandfather’s farm sounds like a beautiful, holy place – would love to see how it’s done in Egypt. Thanks Therese – glad you enjoy.